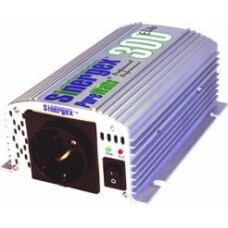 The PureWatts Elite 300 is the perfect mobile power source for your small power needs. Ideal for operating small office appliances and household equipment up to 300 watts. Simply connect the inverters to your battery using the cigarette light plug and you now have AC power wherever and whenever you need it.